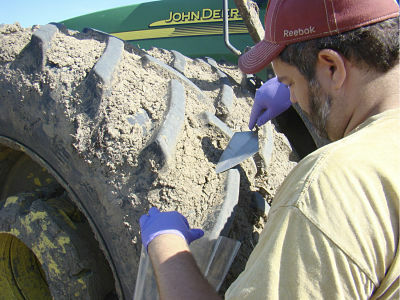 DNA for the organism that causes clubroot was detected in soils from two Manitoba fields, and a brassica plant grown in these soils in the lab exhibited clubroot symptoms. Growers and agronomists in all regions are encouraged to scout for the disease more closely in 2013, but don’t panic. We have many more clubroot management tools, including resistant varieties, sanitation protocols and an overall heightened level of awareness, that were not available when the disease was first discovered in canola in Alberta 10 years ago. March is a good time to get the drill ready. This month we have tips on where to check for wear and tear. 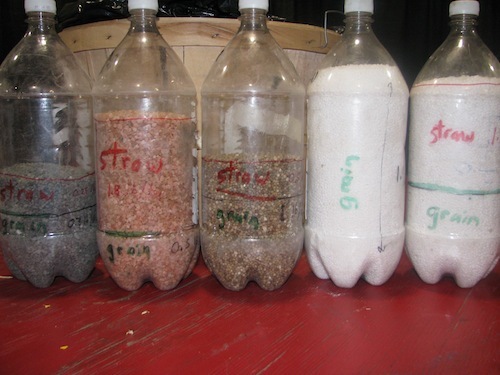 We also have a related article on seeding tips to improve canola seed survival. Two Manitoba fields surveyed in the canola disease survey in 2012 have been confirmed to have clubroot. This is no reason to panic. Clubroot is a manageable disease. Clubroot is expected to spread across the Prairies eventually, and clubroot was first detected in Manitoba vegetable crops in 1925. It is not a surprise to find it in canola fields. The key is to become more aware of the disease, what it looks like, how to scout for it, and how to prevent it’s spread. Cleaning equipment before leaving fields is a key sanitation step. 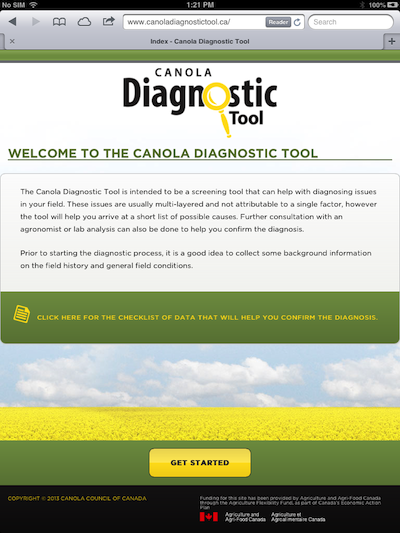 Give the brand new online Canola Diagnostic Tool a pre-season test drive at www.canoladiagnostictool.ca. Start with a problem scenario that you encountered in a canola field in 2012, and work through the tool to see what potential causes it provides. Read the cause descriptions and “ways to confirm” to determine which cause is most likely. Read more for a great video showing tiny wasp larvae devouring an alfalfa looper from the inside out, for a pop bottle demo (shown above) of how much NPKS is required for a bushel of canola, and for a herbicide carryover alert after the dry fall. On average, only 40-60% of canola seeds put in the ground actually survives to become plants. To improve this rate and get more from the seed investment, seed shallow and at the same depth row to row, slow down to improve seed placement, limit seed-placed fertilizer, penetrate trash, leave a firm seedbed, and pack appropriately. Cereals offer a wide range of pre-seed herbicide options to get rid of canola volunteers, which may be plentiful this spring after the wind losses last fall. Volunteer canola competes with the crop for nutrients and water and sunlight, and also act a bridge for blackleg, clubroot, seedling diseases and insects, reducing the effectiveness of crop rotation. Agronomy articles in the March Canola Digest look at early season Diagnostic Dilemmas and tips to control canola volunteers with stacked herbicide tolerance (HT) traits. Read more for events this month that feature Canola Council of Canada staff.